Aleyant, an innovative leader in providing robust software services to the graphic communications industry at value-driven prices, today announced it is celebrating its 10th anniversary, having been founded in April of 2005. The company, formerly known as Aleyant Systems, is honoring its first decade in business with the launch of a fresh, modern logo and a forward-looking strategy where making printing companies around the world successful with cloud-based services remains front and center. Celebratory Promotions To further celebrate its 10th anniversary, Aleyant will be making a number of promotions available throughout the balance of the year, primarily through its social media channels, including Twitter, LinkedIn and Facebook. The first promotion is immediately available on our Twitter page. Be sure to retweet our 10-year anniversary post to win a new tablet. One lucky winner will be chosen this month! 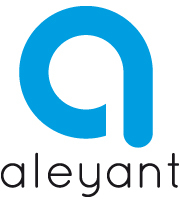 New Branding and Logo Aleyants new branding and logo reflect a clean, simple and sophisticated design that honor its roots in sheet-fed printing but also give recognition to the industrys digital transformation. The company will be launching an updated Aleyant.com website later this year as part of the rebranding. 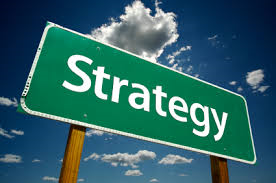 Our upcoming April webinar will focus on how you can build successful B2C strategies into your web to print business. We will feature current Aleyant Pressero customers, John Crisp from PrintStarNow and Chris Glass from Doorhangers.com, who will discuss how they have achieved success in the following areas: Search Engine Optimization, Market Segmentation Approaches, Marketing and Pricing. Time will be allotted for a 10-minute Q&A session. Space is limited, register today! Tuesday, April 21, 1-2 PM CDT - Register here! 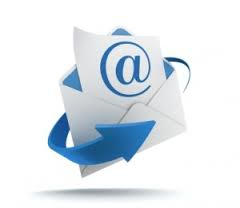 If you host your email with Aleyant, you should have received an email with important changes that are effective July 1, 2015. Contact the support team here if you have not received this information. ·On an account level, (eDoc admin > Storage) you can view your storage amounts, view previously purged data, and change the length of time the system holds onto both incomplete and completed orders (sessions). ·Override the account level settings (item above) by changing the time limits on a template by template basis (eDoc admin > Template > Template Info). This may be helpful when you need to hold on to one customers data longer than another. ·In the order area, (eDoc admin > Orders) you can manually purge order sessions. In most cases, you should not need to change the default settings but it is a good practice to keep an eye on your storage limits to avoid additional fees. Before making any changes, we recommended that you review the documentation available on this subject here. If you are unsure of your package limits, or have any questions about managing your eDocBuilder storage, please submit a ticket to our support team. and we will be happy to help! For more information on eDocBuilder, please click here. Google is implementing a change to their algorithm related to mobile-friendly sites, effective Apr 21, 2015. Basically, sites that are mobile-friendly (responsive) will ultimately rank better than those that are not. Please note that an entire site will not be considered mobile-friendly until ALL pages in the site are mobile-friendly. Therefore, it is important now more than ever that you use a responsive design skin for your Aleyant Pressero storefront to achieve optimal search rankings in Google. Pressero has a library of responsive designs to choose from in the Skins area of admin. If you need help regarding creating a custom responsive skin for your storefront, please either submit a ticket in the Support Portal (select professional services option) or email proservices@aleyant.com. Please click here for further information regarding this upcoming change and also to test your site to see if it is mobile-friendly. Aleyant recently attended HPs 10th annual user conference, Dscoopx, in Washington D.C. At the conference, Aleyant had the opportunity to showcase live demos of Presseros web-to-print storefront solution with HPs SmartStream workflow using Aleyants Automated Workflow Integrator (AWI) as well as our Interactive Designer (InDesign Plug-in). We will be featuring this integration later this year in one of our monthly webinars. Be sure to check out our blog for more details coming shortly! Be sure to stop by our booth (#439) at GraphExpo at McCormick Place in Chicago on September 13 - 16 to learn more about Presero, eDocBuilder and our soon to be released product, Aleyant Print Job Manager. Click here to schedule an appointment with us at the show. For more information regarding GraphExpo, click here. Click here to receive your free exhibits-only registration pass to GraphExpo. First come, first serve to the first 500 customers who enter. Please use code 30105. We look forward to seeing you at the show! We're always adding useful new features to Pressero and eDocBuilder. Here are some of the most popular additions since our last newsletter. Click the links for more details about each item. Be sure to stay tuned to our blog and user forum for the latest updates.